This is a gorgeously produced publication, in which text and full colour paintings occupy equal space and status. A long painting stretches across front and back cover (After the Storm, Colt Head) and the same canvas occupies the full breadth of the centre-fold pages. It is an astonishing picture, a troubled and troubling mixture of light and dark, the waves lapping white and gentle on a beach but the distant waters deep, dark blue; and the sky heavy and ominous. You cannot read this quickly: the stressed syllables are too strong, and the last five of the line, to my ear, carry equal weight – a set of spondee. The painting gives a visual reality; the poem makes its music. It’s a wonderful marriage of image and text. Kevin Crossley-Holland has written nine collections of poetry. 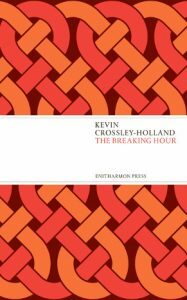 His most recent collection The Breaking Hour was published by Enitharmon Press in spring 2015. This is a book of meeting . A mother meets her baby. A man steps into his childhood. An old man encounters Godfather Death. And in the persona of Harald Hardrada, a passionate man wrestles with his fantasies, and north meets south. The Breaking Hour invokes Orpheus and Atargatis, Pierre de Ronsard and Beethoven, and moves from Hades to a hellish warzone, the high Alps and to the creeks and saltmarshes of his own beloved north Norfolk. at last first landing on Scolt Head. White-caps along the foreshore are making merry. and downpours blossoming before the dark. But this is also a book turning on friendship, family, generations and memory – a book of layers, continuities and discontinuities, sometimes playful, sometimes prayerful, sometimes celebratory and sometimes elegiac, alive to the power of love, and of those transcendent times between times. our gaze and are singing in unison. The Mountains of Norfolk was published by Enitharmon Press in early summer 2011 and won the EDP/Jarrold’s East Anglian Book Awards Prize for Poetry in 2012. Written over almost forty years, his poems are notable for their perceptive and warm record of relationships, especially that of father and child; their powerful response to the landscape of Norfolk and Suffolk; and their awareness of historical and cultural continuities and dislocation. Sensuous, spare and forceful, many of his poems are also concerned with spiritual dimensions. 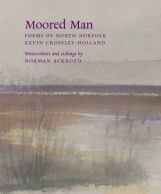 In 2006, Kevin published Moored Man:A Cycle of North Norfolk Poems with watercolours and etchings by the Royal Academician, Norman Ackroyd. 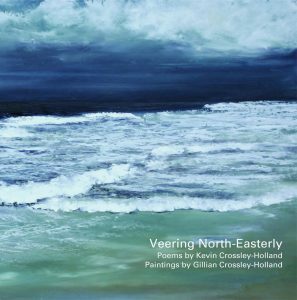 These poems revolve around the mythical being who embodies the wilderness and warring elements of the north Norfolk saltmarshes. What enthralls us when we arrive at the coast is neither land nor sea but that narrow flux of both of them called the shore. It is the shore which does most of the talking, which utters, which we listen to. At first it seems to say the same things over and over again, and is mesmeric. Then it becomes both soothing and threatening, musical and dissonant, inspiring and wretched, easy to understand and complex as it articulates things which cannot be heard in any other place. Moored Man interprets this watery voice in a wonderful manner. In a sequence of wild, desperate, beautiful and original statements the seashore tells how it can never get away, how it has struggled in its liquid chains, and how it is both captive and yet free. Moored Man may be tied to the edge but he is never stationary. He is all movement. He may be mud-dull but yet he is a marvellous orator. Although below the rocks, he is a visionary. This is a fine poem. There is a tragic loneliness in it reminiscent of that in Ted Hughes’s Crow. Kevin Crossley-Holland’s Moored Man is the voice of that ultimate geography which separates land from water. He has listened to what it says for the best part of his life and is able to give us this exciting translation. Kevin is the editor of The Oxford Book of Travel Verse. With Lawrence Sail, he edited The New Exeter Book of Riddles and the anthology of Christmas card poems, Light Unlocked. He is the co-founder and sometime chairman of the annual festival of Poetry-next-the-Sea.